Use the principles of buoyancy and density to show off your magical prowess. Yes, really! Here’s a fun science experiment that’s not too different from sorcery. Don’t believe us? Try it out right now and tell us how it turned out. 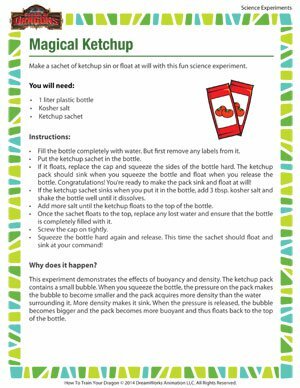 And then, check out other printable science experiments for all grades at the School of Dragons!